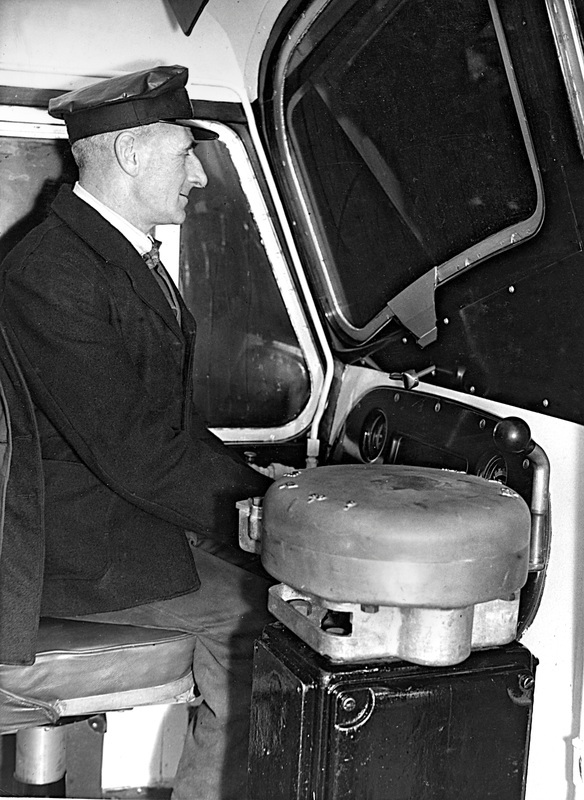 Left: LMS/BR prototype loco No. 10000. Above: D0280, D1200, Class 53. English Electric 'Deltic'. 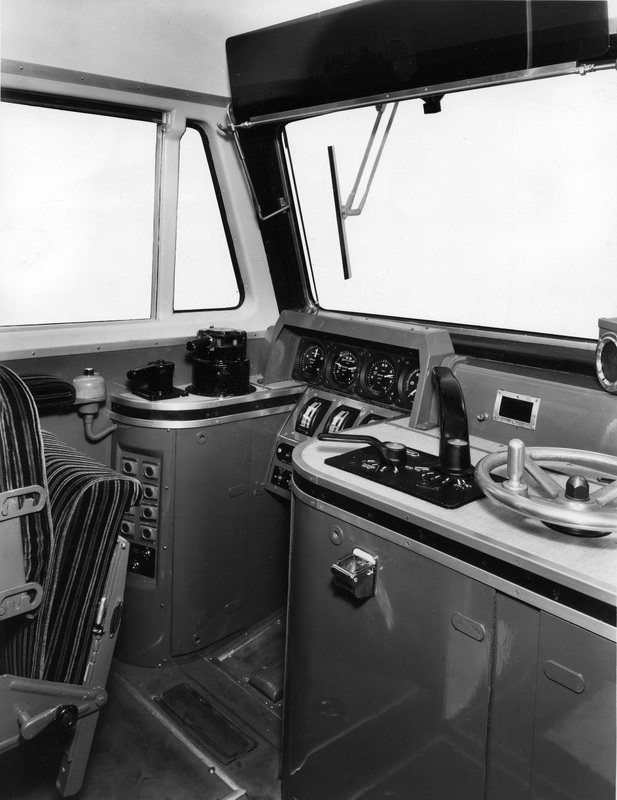 The driving cab installed in the prototype Deltic set a standard of design for most of the following nose-style English Electric locos. 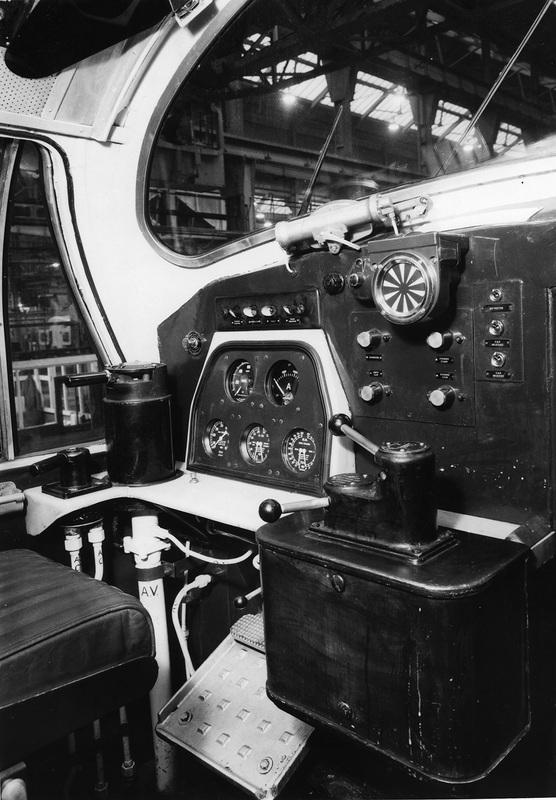 The most significant change was the repositioning of the train brake valve from above the power controller to the left side of the cab. 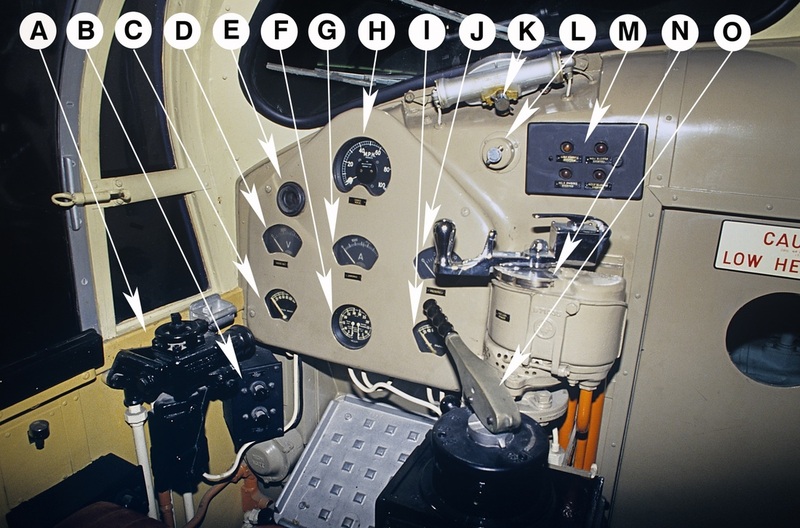 A - Position of direct air brake valve for controlling loco brakes (handle removed), B - Engine start buttons (top ‘A’ and bottom ‘B’ engine), C - Duplex Gauge giving main reservoir and brake pipe pressures, D - Generator Volt gauge, E - Fault indicator, F - Vacuum brake gauge, G - Generator Amp gauge No. 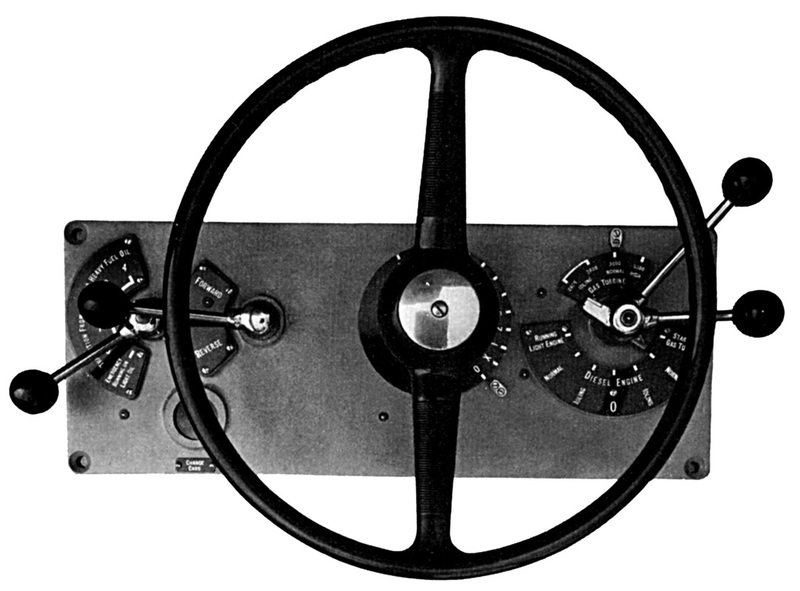 1 engine, I - Brake cylinder pressure gauge, J - Generator Amp gauge No. 2 engine, K - Windscreen wiper motor, L - Windscreen wiper control valve, M - Warning lights (top row) No. 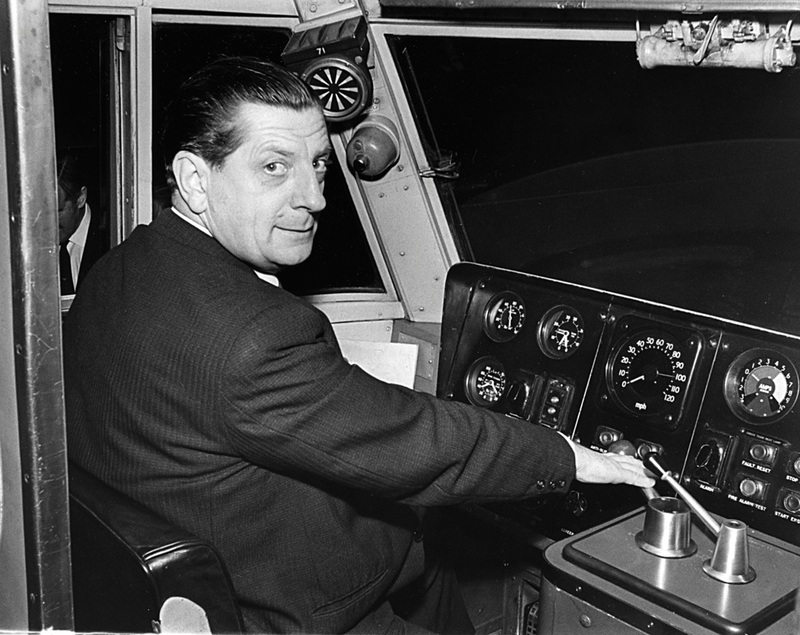 1 engine stopped (left), No. 1 blower stopped (right), (bottom row) No. 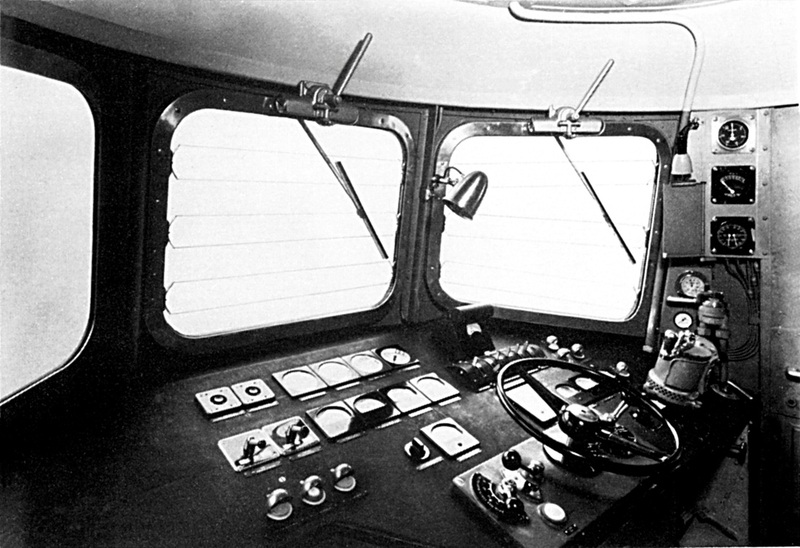 2 engine stopped (left), No. 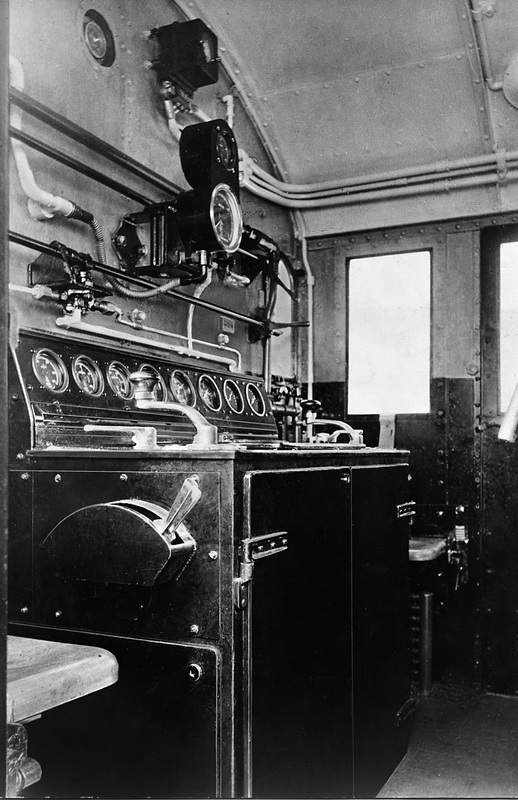 2 blower stopped (right), N - Train brake controller (vacuum), with vacuum high-speed release trigger on top), O - Power controller with master switch (engine only, forward and reverse) located below. 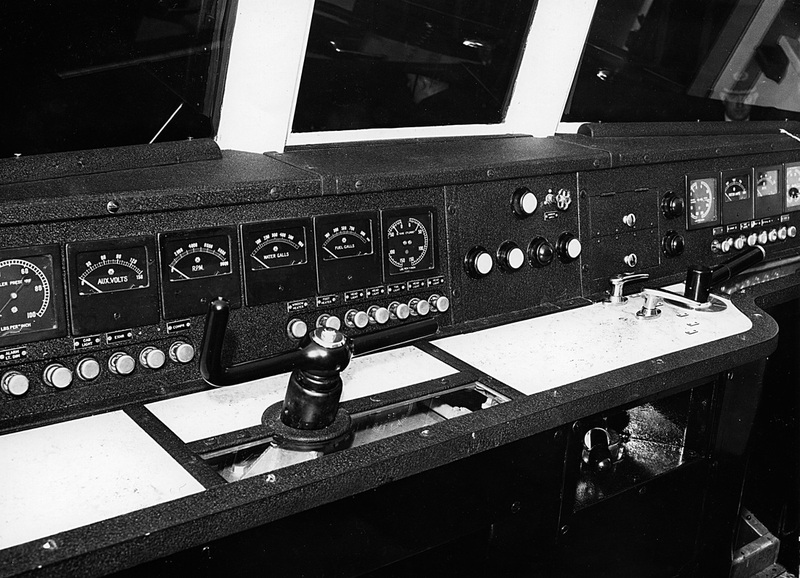 Above: 'Clayton' DHP1 prototype cab. Left: BRCW Prototype D0260 Lion. 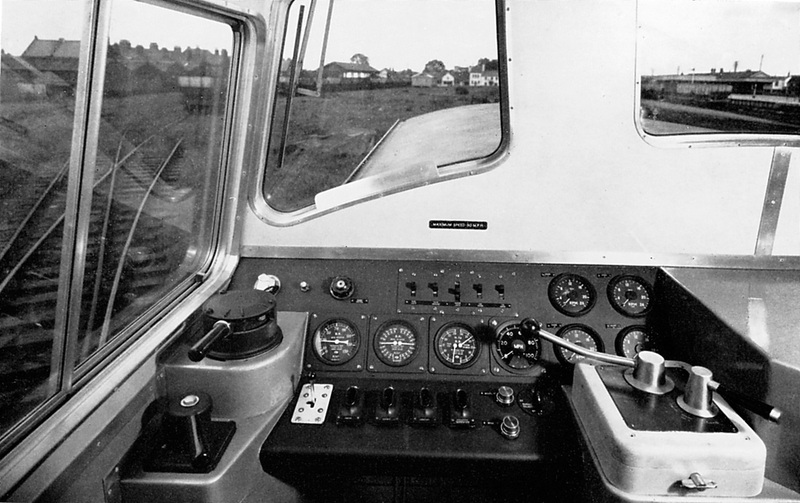 Left: English Electric 'Prototype' DP2. 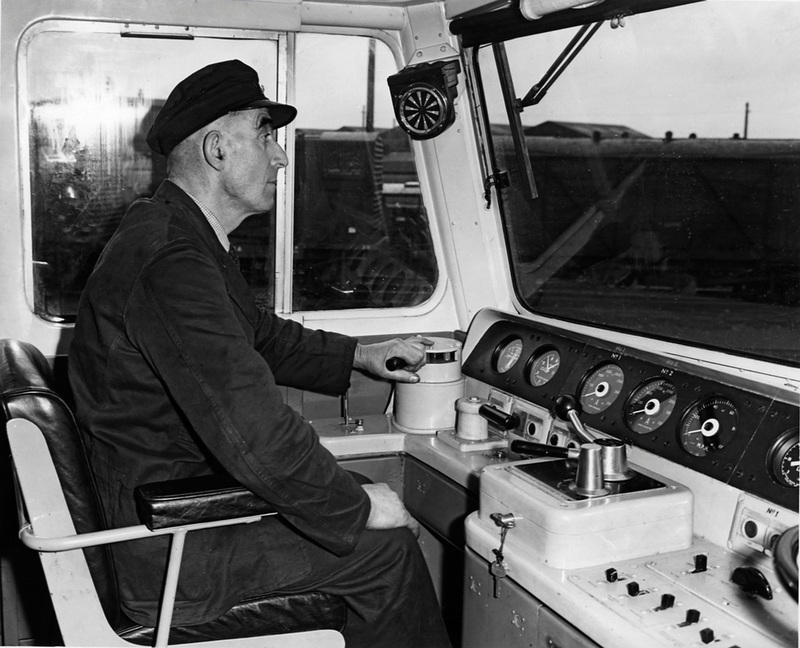 Early LMS 0-6-0 diesel-electric shunting loco.